OAKLAND, Calif. (AP) — Oakland will have to take its bubbly on the road. Oakland leads Tampa Bay by 7½ games and needs one win or a Rays loss to clinch its first playoff berth in four years. The A’s remained 1½ games behind the New York Yankees, who have clinched a wild-card berth, and fell 4½ games back of AL West-leading Houston. After going 50-31 for its best home record since 2013, the A’s finish with three-game series at Seattle and the Los Angeles Angels. Oakland is 60-26 since mid-June. 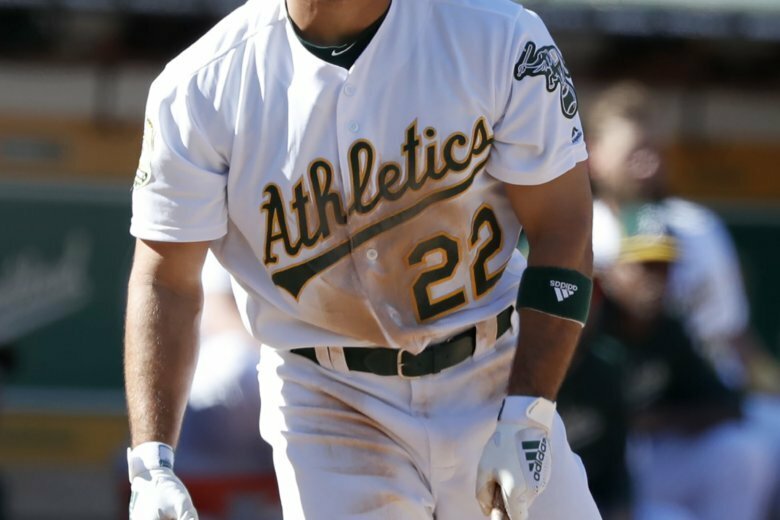 “It would have been nice to clinch, but we weren’t changing anything up or anything like that,” A’s first baseman Matt Olson said. Trevor Cahill (6-4) allowed five runs — three earned — and five hits in 3 1/3 innings. A crowd of 35,754 raised Oakland’s season total at home to 1,527,588. Joe Mauer was 2 for 4. His fifth-inning single was his 3,072nd time reaching base, tying Harmon Killebrew’s franchise record. Twins manager Paul Molitor said he’s been communicating regularly with Mauer about his role in this week’s six-game homestand. Mauer is contemplating retirement. “We haven’t finalized how many games he will play throughout the course of the week, and which game of this particular campaign will be his last one,” Molitor said. Twins: C Mitch Garver (concussion) played catch on the field, but Molitor said it has not been determined whether he will play again this year. Garver has been out since he took a foul tip to his mask on Sept. 12. … Molitor expects to make decisions on the playing status of 3B Miguel Sano (lower left leg bruise) and 2B Logan Forsythe (left knee inflammation) on Tuesday. Twins: Minnesota has not announced a starting pitcher for Monday’s series opener against Detroit. Athletics: RHP Daniel Mengden (7-6, 4.00 ERA) will make his first start since June 23 in Monday’s series opener in Seattle. Mengden is 1-0 with 1.83 ERA in five relief appearances since being called up from Triple-A Nashville on Aug. 27.